Many thanks to Denise Bibro for curating “The Boros,” featuring the work of 36 New York City based artists, which was on view in November 2012-January 2013. 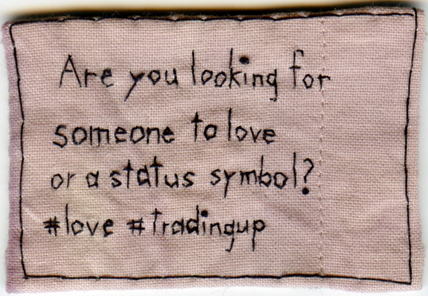 “Trading Up.” 2012. Embroidery on hand-dyed fabric (purple onion skin). 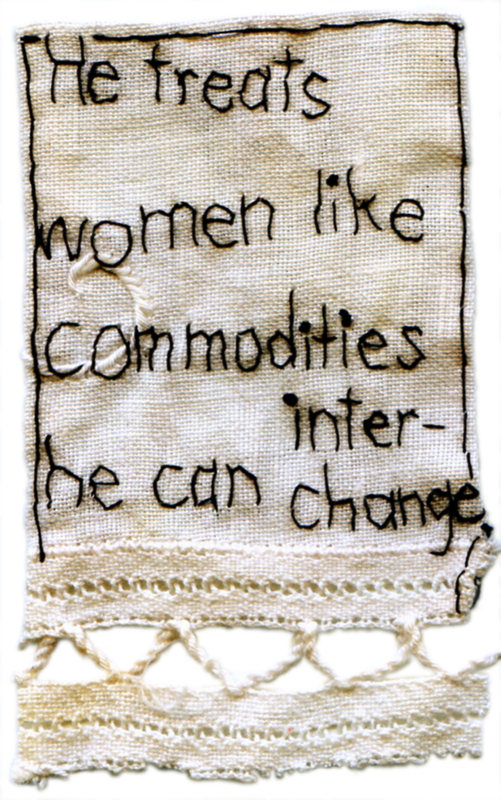 “Commodities.” 2009. Embroidery on fabric.